In the spirit of all hallows eve F.C. 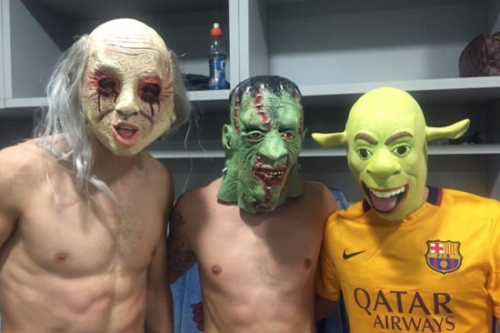 Barcelona players surprised media and fans, after their 2-0 win over Getafe, by storming the press room dressed in Halloween costumes. The players, still in costume, then wandered out to mingle with fans before heading back to the dressing room.